Cleopatra lies asleep. Harmachis looks down at the most gorgeous woman he has ever seen. One arm pillows her head. Her dark hair flows all around her, and her lips are parted in a smile. Her limbs are draped in a gauzy robe. 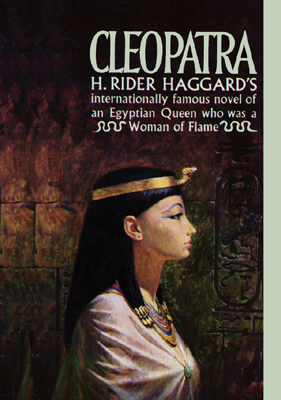 The sight of Cleopatra's beauty strikes the young Egyptian like a mortal blow, and for a moment Harmachis aches with grief because he has to kill someone so lovely!